We spend almost a third of our life sleeping, but lately sleep doesn’t seem to get much respect. When life gets busy, one of the first things we neglect is a good night’s sleep. For many people, ignoring the recommended eight hours of sleep in favour of five or six hours is seen as a necessity to get everything done. Skimping on sleep to stay awake playing video games or cruising social media is normal for teens and a growing number of adults. And pulling all-nighters to study or write reports has given students bragging rights for ages. Recent research is showing that sleep, far from being an idle luxury, is indispensable for health. Every animal on the planet sleeps for a reason. A range of diseases from cancer, cardiovascular disease, diabetes, neurological disorders, Alzheimer’s disease, Parkinson’s disease, mental illness, and even obesity are associated with getting too little sleep. Scientists are just beginning to unlock the mysteries of sleep to understand why we sleep and what happens when we try to shortchange this natural need. Previously, scientists thought the brain recycled the waste proteins and other metabolites produced when building and pruning neurons, and that in old age the recycling slowed down leading to cognitive decline - “feeble-mindedness.” Nedergaard proposed the brain is too busy to recycle everything and that there must be a secondary system at work. With high tech microscopes she discovered the fluid-filled spaces between individual brain tissues cells are dedicated primarily to removing the cell’s daily waste. The key is that the brain does this clean up while we sleep, at least in mice which is what she currently uses as test subjects.When the mice were awake, the fluid flowed only along the brain’s surface. When they were asleep, the rate of flow and depth increased by 95%. A fitting analogy might be the difference between sweeping dirt off a carpet with a hand broom compared to using an industrial steam cleaner every day. Since we don't see or feel this brain cleaning process, we don’t appreciate its importance nor the vital necessity to get enough sleep. As a society we are getting less and less sleep. In 1942, less than 8% of the US population habitually got less than six hours of sleep a night; in 2017, that number had risen to 50%. 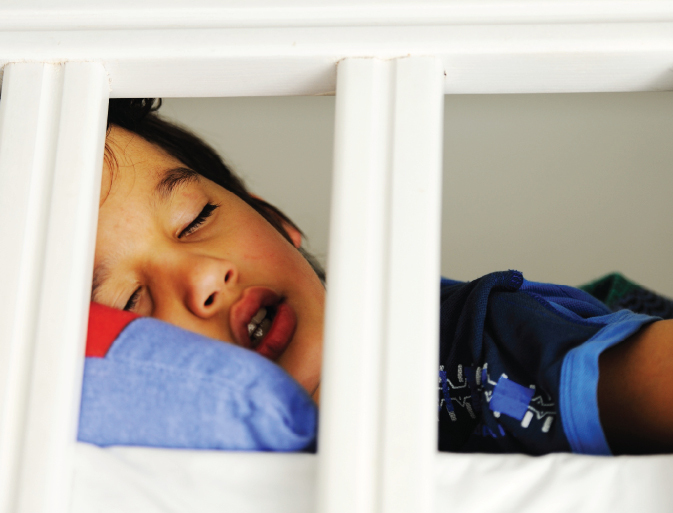 Parents know that too little sleep makes a child cranky. As a society, are we getting crankier because we’re under rested? Is our propensity to squeeze as much activity into life by staying awake to do more and more things going to ultimately lessen the quality of our life through the build up of brain gunk? Sleep well tonight, and every night, so that your body can do a bit of house cleaning and keep you feeling good.